We refuse to admit summer is over! 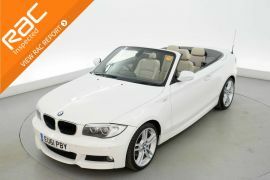 Check out this 2012 BMW 120d M Sport convertible with over 5k of extras and only 15,000 miles! 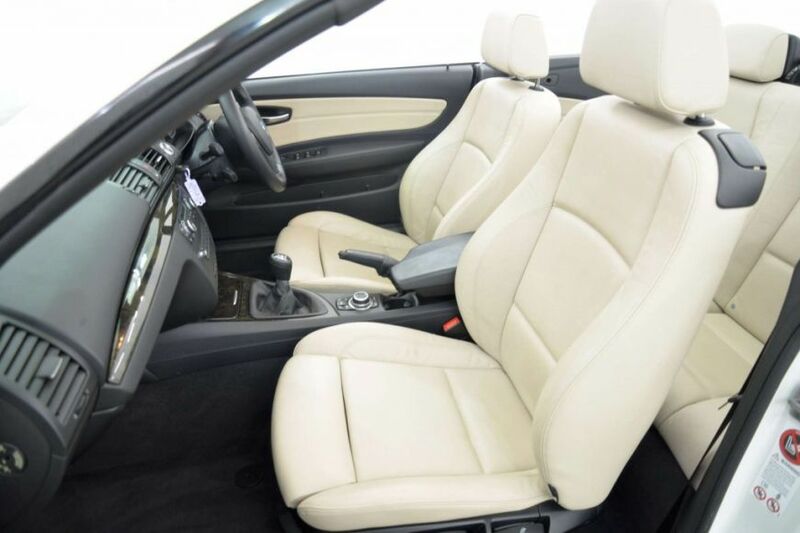 Extras include BMW Professional Multi Media, Boston Leather, Xenon headlights, Comfort package, 18” Double spoke alloys, Heated seats, Storage package, Dark popular trim and Telephone USB audio Interface! This BMW 1 Series Features 5295 GBP Of Factory Fitted Extras Including Electric Convertible Roof, Auto Start / Stop, BMW Professional Widescreen Satellite Navigation, Cream Boston Leather Upholstery, Heated Front Sports Seats, BMW IDrive Professional With Radio/CD Player + AUX/USB Input + Bluetooth Audio Streaming + HDD Music Collection, Bluetooth Phone Connectivity, Front And Rear Parking Sensors, Auto Xenon Headlights + Rain Sensors, 18 Inch Alloy Wheels, Cruise Control, Multi-function Steering Wheel, Anti-glare Mirror, Dual Zone Digital Climate Control, Front Armrest, On Board Computer, 4 Air Bags, ISOFIX, Remote Locking, Anti Lock Brakes, Dynamic Traction Control And Fog lights. If like us, you're in denial about the change of seasons and fancy yourself a convertible in preparation for the summer that is now ahead of us then click here for more details of this car where you can view 30+ high definition photos, spin and zoom interior and exterior spins and all the documentation and RAC report for this car.